Italian metallers UNHUMAN INSURRECTION (aka UHI) – previously UNHUMAN – have unleashed the still photos, as teaser (see above), for their upcoming video “The Edge of Nothing”, taken from the album “Equilibrium?”. The video will be released shortly, alongside the announcement of the new label. To see more photos, go here. UNHUMAN INSURRECTION – formed in 2015, risen from the ashes of “Burn of Black” – is an impact of a powerful mix characterized by an aggressive and harsh sound, blended with melodic vocals which emphasize the sonorities. 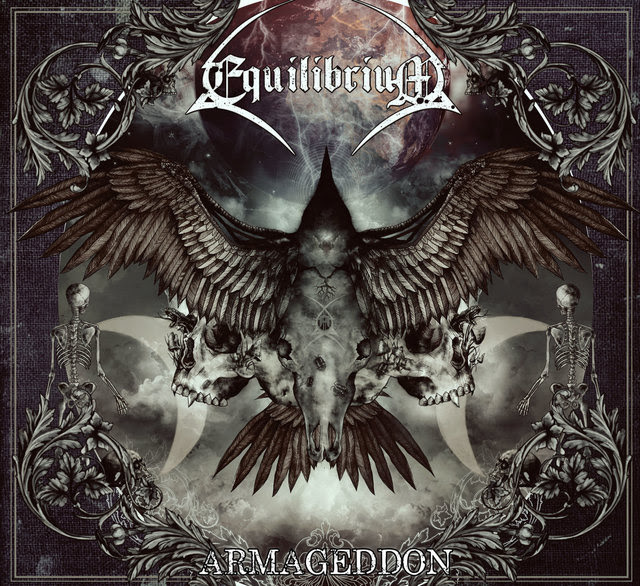 The band’s debut full-length album “Equilibrium?” is set to be released still in 2016. The album is a personal result of the individual maturation process of each band member came across, breeding their new identity, born by the heavy rhythmic patterns of industrial metal, the violence of Thrash, topping them with clean melodic voicals, like it was rarely done, so far. German epic metallers, EQUILIBRIUM, released their current studio album, “Armageddon”, last year on August 12th, 2016 through Nuclear Blast. Once more, the band entered the European charts on high positions (#5 Germany, #11 Switzerland, #20 Austria). Since this marks a huge success for a German band, they decided to share the best moments from this asia tour with their fans! That’s why they have collected the best footage to sum them all up in a short video clip. Therefore, they can show you the euphoria of their Asian fans, as well as their first impressions and experiences of a tour in Asia. You should definitely not miss this video! German epic metallers, EQUILIBRIUM, released their current studio album “Armageddon”, on August 12th, 2016 through Nuclear Blast. Once more, the band entered the European charts on high positions (#5 Germany, #11 Switzerland, #20 Austria). As a Christmas present to their loyal fanbase and to show their gratitude for all the support EQUILIBRIUM achieved in 2016, the band has launched a new music video, incl. live footage from this year’s “Armageddon Tour”, for ‘Rise Again’ today. German epic metal pioneers, EQUILIBRIUM, will set aflame a brand new bonfire this summer with their fifth studio album. Guitarist, composer and lyricist René Berthiaume spent almost two years working on this new opus called “Armageddon”. The result is rather dark, while retaining the bombast and folk elements of the previous records. Today, the band has released the second track-by-track trailer of that upcoming album. The limited Digipak Edition includes a bonus CD with the instrumental version of the whole album. “Prey” will be available as a digital single on July 1st, 2016. “The songs on “Armageddon” have become quite diverse. Every song sounds different.